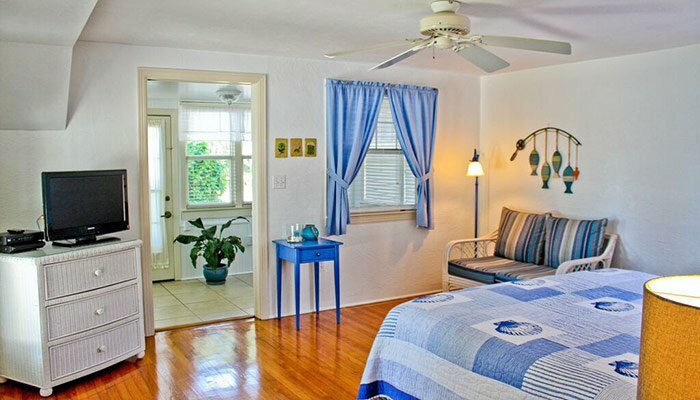 The Cottage House consists of two bright and cozy rooms, the Mainsail Suite and the Magnolia Suite. 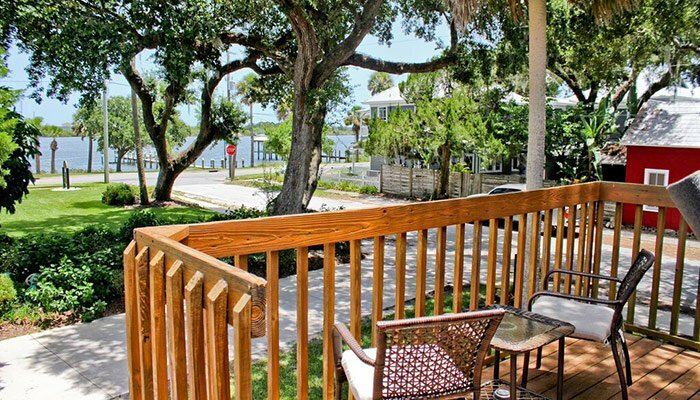 Both of these beautiful New Smyrna Beach accommodations are ADA compliant and provide homey amenities. The suites are also pet-friendly, so bring your furry friends to enjoy your vacation with you! 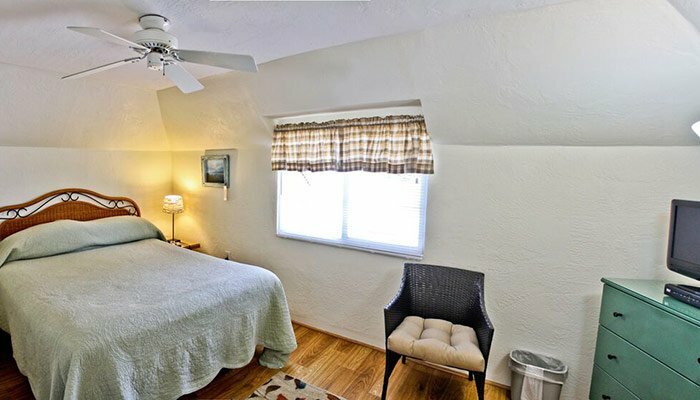 Book your next getaway in the Cottage House today! The Mainsail Suite is the Cottage House’s first-floor accommodation. 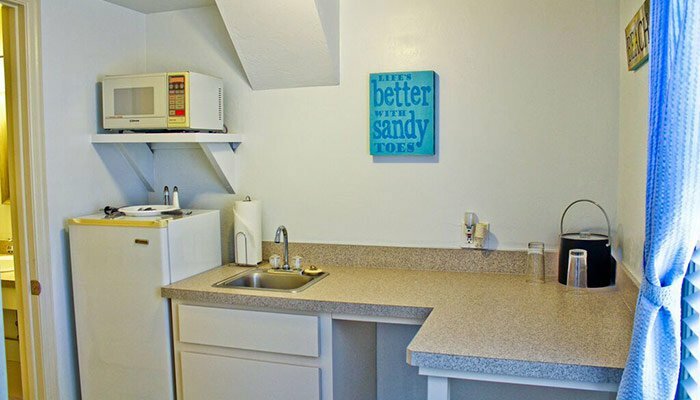 This ADA compliant room features pet-friendly service, lovely beach decor, and a kitchenette. 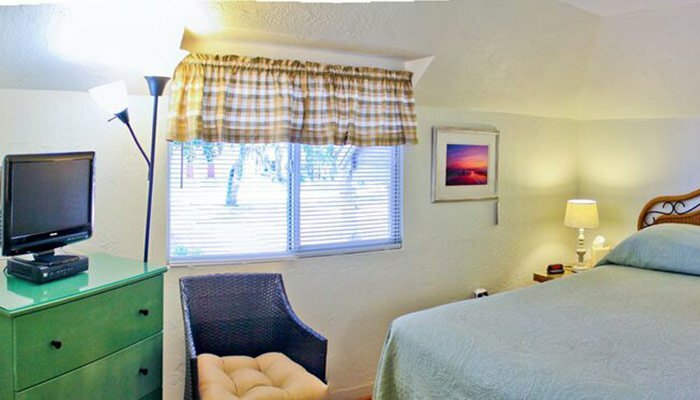 Also, wave goodbye to the confinements of typical hotels in New Smyrna Beach, FL and enjoy the suite's spacious floor-plan. 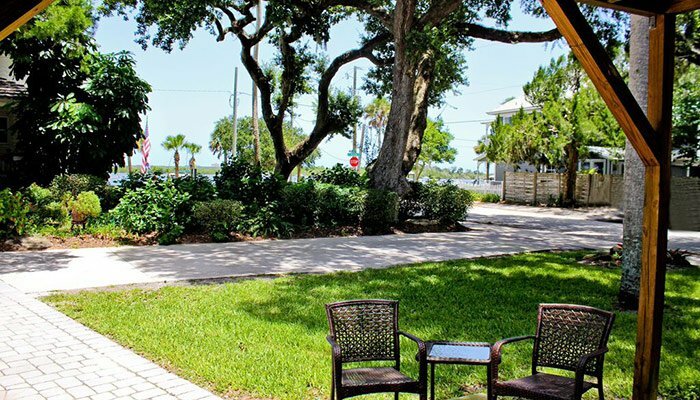 Book your dream getaway in the Mainsail Suite today! The Magnolia Suite is upstairs.